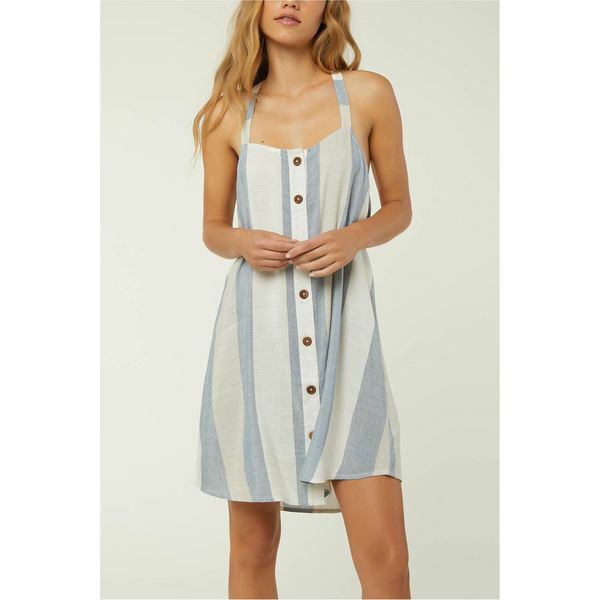 The Drew Woven Tank Dress from O'Neill features 70% Cotton 30% Linen fabrication, 33 1/2" Hps, saddle hem, a functional center front button placket and a metal logo badge. This casual, yet stylish dress is perfect with sneakers or dressed up with wedges. Imported.